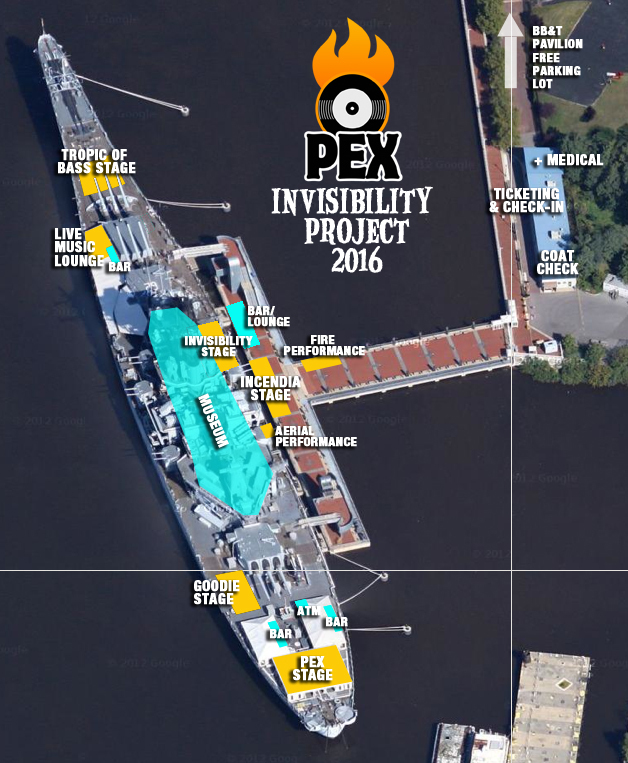 11th Annual PEX Halloween "The Invisibility Project"
The Philadelphia Experiment story is one of time travel, teleportation and deep-rooted conspiracy. Officially, it's a footnote in US history, with the true story of events obscured by rumors spanning over the decades. Unofficially the PEX Story continues to evolve, morph, expand and inspire. The rumors and physicality relating to PEX have trickled down through the years and appeared in various locations throughout the world. One thing is certain, in two locations sightings have been common: In the dust clouded alkali flats of Nevada's Black Rock Desert and in strange unpredictable locations in the historically significant US City of Philadelphia. Occasionally, through either space time continuum, teleportation, otherwise or none of the aforementioned, this Experiment appears in the place it originally is rumored to have occurred. 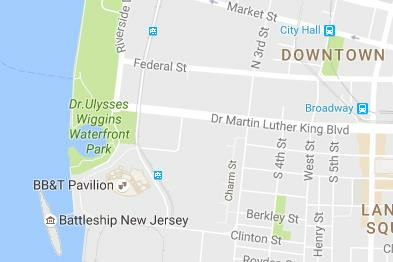 A World War 2 US Navy vessel in the Delaware River just within site of the first Capital of the United States. On the surface PEX appears to be a strange but plausible experiment that echoes of Mystery, and has likely been blown far out of proportion. But as the story goes, during the deepest days of World War II a US Navy Vessel reappeared and disappeared. 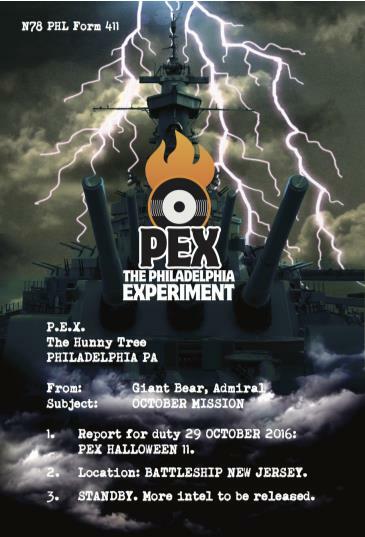 2000+ ghastly souls of the impeccable PEX Community will appear once again at 10pm on October 29th, 2016 on one of the largest government vessels ever constructed. The 1000' Battleship New Jersey. What should I wear? Any costume is fantastic, but for the Battleship, think Pirates, Sailors, Military, zombies, etc. Be careful with Heels, the deck of the ship can be tricky. Much of the festival will be outside, please integrate layers & warmth into your costume. Is there parking nearby? Yes we have secured Parking lot #1 next to the BB&T. 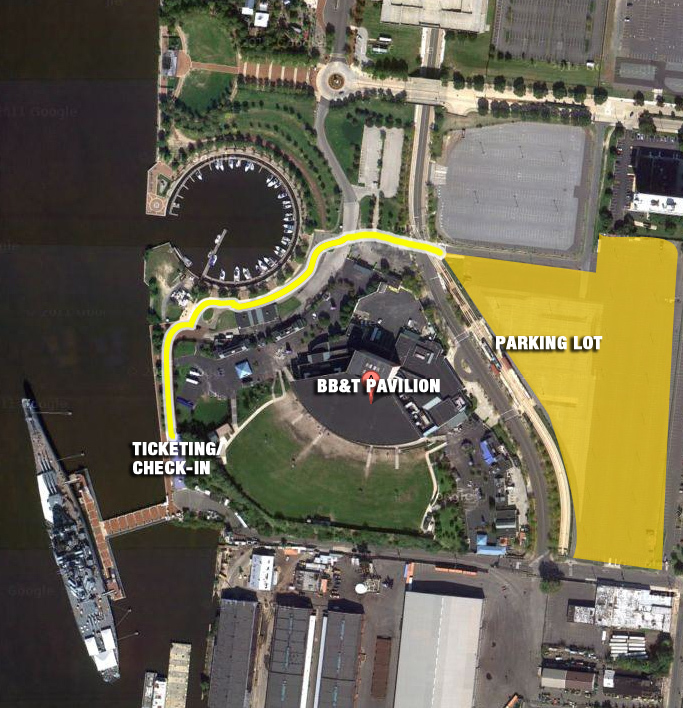 (Old Tweeter Center) To get to Parking Lot #1, take 3rd St. south to Clinton Street & make a right on Clinton. For those of you not driving and needing a way back to Philly after the event. 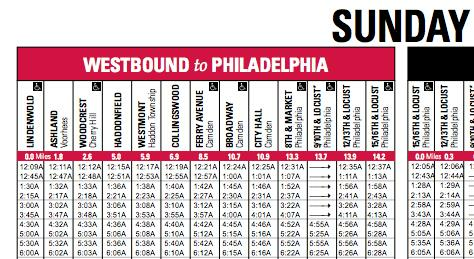 The PATCO Line train will be running. The Broadway stop is the best place to get it. There are 2:30am, 3:15am, 4:00am & 4:45am trains. Will there be a cash bar? Yes the Bars will be open from 10pm till 2am. The bar is run by the Camden Waterfront Assoc & the Battleship. Is the event over 21 only? Yes the event is 21+ ID will be checked at the door. Does the Battleship leave the dock? No the battleship is permanently docked. And you may leave the event at anytime. Will I be stuck on the battleship the whole time? No, there are activities on the Pier, Land, Battleship deck & on a spaceship. (Only attendees with NASA Approved Space Suits allowed on Space voyages) There will be no ins/outs from the event however. What is the bathroom situation? There is a bank of both male & female plumbed bathrooms on board the Ship. We will also have a bank of Porta Potties on the pier. Will there be food vendors? Yes, we have food on site with both vegetarian and standard fare. Can I bring food or drink into the venue? No, all bags will be searched, any outside food or drink is strictly prohibited. Will a map of the event be available? Yes we will email a map of the complete venue in PDF format to all ticket holders the week before the event.